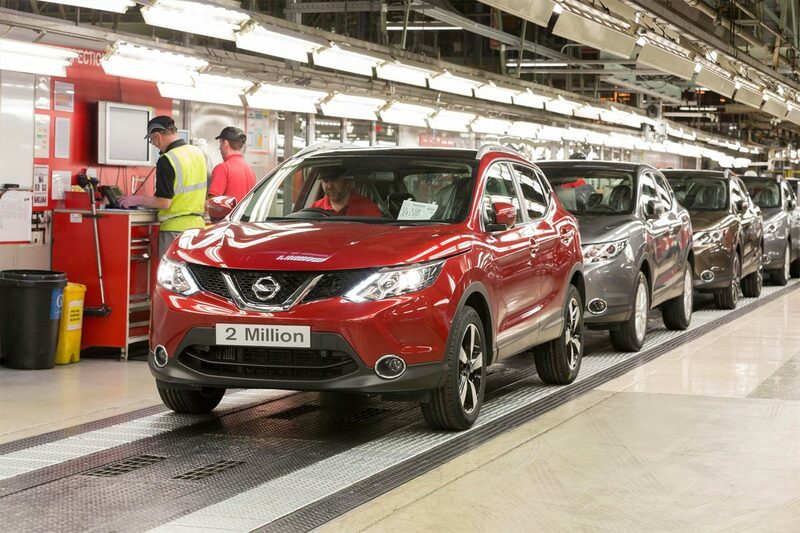 A new Nissan Qashqai rolls off the production line every minute at the Nissan manufacturing plant in Sunderland, UK. Not surprising then that recently the two millionth Qasqhai rolled off the production line and in the doing so the compact crossover vehicle has become the fastest British-built car in history to reach this milestone. Now one of the fastest growing vehicle segments, a segment which Nissan can proudly say it pioneered with the original Qashqai eight years ago, the all-new 2015 Qashqai continues to lead the market segment in terms of space, engine technology and standard vehicle equipment. Designed and engineered in Europe, for Europe and indeed the whole world, the new Qashqai was conceived by Nissan experts at Nissan Design Europe (London, UK) and Nissan Technical Centre Europe (Cranfield, UK and Barcelona, Spain). Extensive input has also come from Nissan’s designers and engineers in Atsugi, Japan. The Qashqai is no stranger to awards, the original model having notched up numerous industry accolades over the last eight years. This latest landmark caps a remarkable year for the new Qashqai, with the launch of the new generation model sparking a string of titles including What Car? magazine’s coveted Car of the Year. The two millionth Qashqai to roll off the production line was a Magnetic Red model in the new N-TEC grade and is destined for a customer in the UK. Introduced in October 2014 for overseas markets, the new grade includes unique new styling features as well as Nissan Safety Shield technologies like Forward Emergency Braking, Traffic Sign Recognition, Lane Departure Warning and High Beam Assist. Nissan’s plant in Sunderland, UK (NMUK) remains a global benchmark for productivity and quality, building more than 500,000 units a year. Sunderland builds the Nissan Qashqai, Juke and Note as well as the Nissan LEAF, along with the advanced lithium-ion batteries that power it.